Orange essential oil, also known as “sweet orange oil” is extracted from the outer peel of the regular orange, which possesses highly potent immunity-boosting properties. 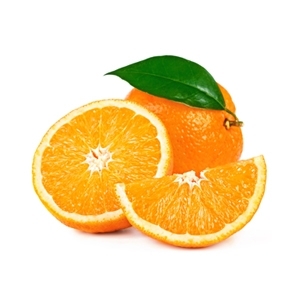 Orange oil has been an important ingredient to more and more commercial products such as liquid soaps, shower gels, bubble baths, air freshener, disinfectant spray, shampoo, lotion, conditioners, creams, and mouthwashes because of its clean and refreshing scent and strong germicidal properties. Also, orange oil is widely used in cooking and beverages because there really a lot of great recipes that contain orange flavor. You can obtain the health benefits of orange by using these products but there exist more ways to naturally get benefits from it. Natural and traditional therapies in India, China, and the Mediterranean have used orange essential oil in their treatments since the ancient times. It has been used in conditions such as depression, skin blemishes, mouth sores, flu, temporary impotence, indigestion, and fatigue for its antibacterial, aphrodisiac, antidepressant, and antiflatulence properties. You may use it in aromatherapy by diffusing a few drops in your home or office. To make a deodorizing spray, mix a small amount of orange oil and water in a spray bottle. It can also be used as massage oil by mixing equal parts of orange oil and carrier oil, either coconut or jojoba oil. You can also use it in a bath by adding several drops to bath water or adding it to your regular shower gel. Just remember to do a skin patch test first before using it topically. Consuming it orally should be with approval of certified health practitioner. The particular orange oil that you will take should be organic and high quality pharmaceutical grade brand. You may add it to your drink or take it with honey for more pleasant taste. The FDA labels it as safe for ingestion but this is only the case if you purchase pure, unadulterated oil. Orange essential oil can be blended with allspice, cinnamon, anise, bergamot, basil, clary sage, frankincense, eucalyptus, geranium, ginger, sandalwood, jasmine and clove oil. Get Your Orange Essential Oil Now! I have fallen totally in love with this oil and have it in my diffuser right at this moment as I write this review. Not only does it just flat out smell amazing just In general but it has outstanding aromatherapy effects as well. From now on this is an oil I will make sure I never run out of!